Free Teddy Bear Game - ready to print & play! 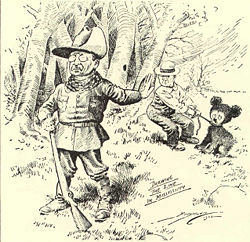 "Love me Love my Teddy Bear." 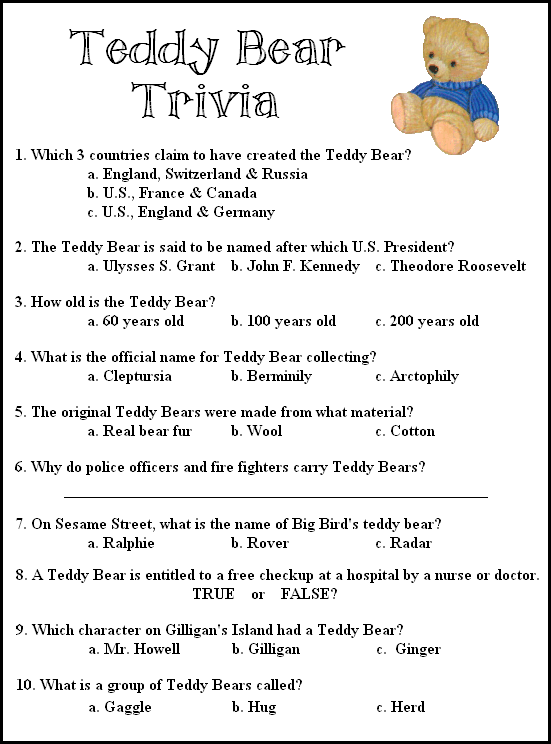 -Samantha Armstrong This cute, free printable Teddy Bear game will test your guests' knowledge of All Things Teddy Bear, including where does the Teddy Bear come from, how did it get it's name, why do police officers carry teddy bears, and more! This is a great game for anyone who enjoys Teddy Bears. Instructions: Just follow the printing directions below and print out the game card below for each guest. Give each guest a pen or pencil and let 'em loose! When everyone is finished (you may need to limit the time to 5-10 minutes) read the Answer Key (below) and have everyone grade their sheet. Whoever answers the most correctly wins! Have a bag of gummy bears, or a small teddy bear, or a teddy bear candle ready for prizes. Have a Beary Good Time with this Game! 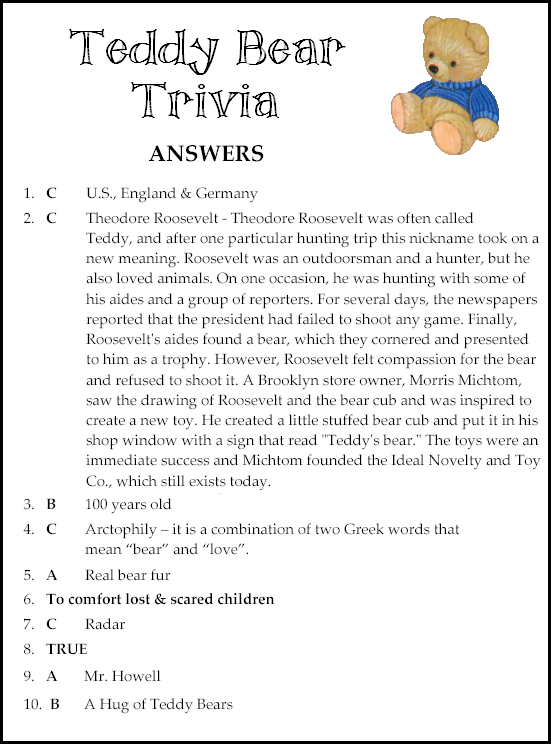 You have several options to print this Teddy Bear Trivia game. Whichever way you choose, I suggest that you print these game cards on a thicker cardstock for a sturdy game card. The EASIEST way to print this game is to open this pdf Teddy Bear Game and print it from there. I hope this Teddy Bear Game helps you in your Teddy Bear Baby Shower planning!